Trying to decide what to do this week? 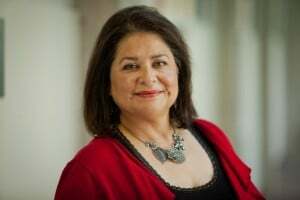 The Art&Seek calendar regularly posts close to 1,000 events online. Don’t know where to start? Try doing a search by date or by categories. There’s a category for arts, books, dance, music, museums, theater, and Radio-TV-Film. Whether you’re looking for something new and daring to do or something familiar and comfy you can find it here. Here are a few suggestions to get you started. In Richardson, SP/N Gallery at UT Dallas hosts the Texas Visual Arts Association High School Art Competition. Head there to see 150 works in all kinds of imaginable media from talented young artists. The Fort Worth Community Arts Center has an exhibition of drawings, prints, and collages exiting. You only have until March 30, to see works from artists who primarily create with ink. In Fort Worth, the Kimbell Art Museum has eight-foot-long oil paintings featuring inspiring views of 18th century Europe by Italian painter Bernardo Bellotto. 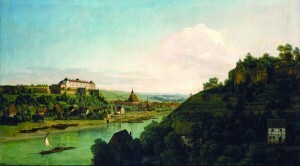 Head there to see The Lure of Dresden: Bellotto at the Court of Saxony. In 2017, two Dallas theatre-makers began writing a play about journalism. And tonight, they’re previewing the work-in-progress at The Wild Detectives in Dallas. Be a part of the conversation about the state of and importance of local journalism. 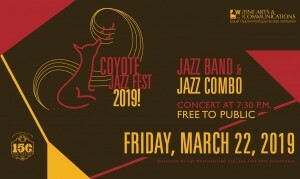 Weatherford College hosts the Coyote Jazz Fest today. It’s a one-day music festival aimed at educating middle and high school musicians. And it features clinics, workshops, and performances. Check out the opening reception of The Illusion of Being at SMU. 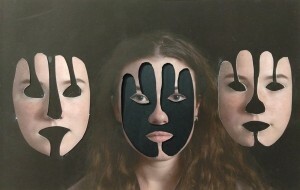 The three-person exhibition featuring photographic works is on view at the Hawn Gallery inside the Hamon Arts Library. Cydonia Gallery (inside of the Texas Theatre in Dallas) hosts the opening reception of Survival Politics on Saturday. 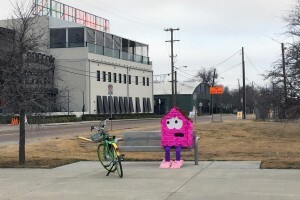 The exhibit celebrates piñata-inspired protest sculptures made by Oak Cliff’s Giovani Valderas. Also on Saturday, don’t miss the final day of the 42nd Annual TCU Jazz Festival. They’ll have free performances and Jazz Ensemble Competitions at PepsiCo Recital Hall and Ed Landreth Auditorium on the TCU campus. On Sunday, check out an arts-focused film with the Keller Public Arts Society. They’re screening “The Artist’s Garden, American Impressionism” at the Keller Moviehouse & Eatery. See the first major museum exhibition for LA painter Jonas Wood at the Dallas Museum of Art. He’s celebrated for his color compositions and for capturing moments of everyday life. His work will be on display through July 14. Dallas’ Kacie Baker has a new installation on view at the Moudy Gallery at TCU. 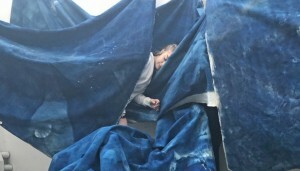 Her work is made up of cyanotype prints and is large enough for audiences to move through. The opening reception for Cyanocosm is tonight from 5-7 p.m. It will be on display at the gallery through March 29. The Sixth Floor Museum at Dealey Plaza hosts a conversation about magazines and their power to shape and public perceptions. Join Dr. Samir Husni, one of the nation’s foremost experts in print journalism, tonight for The Power of the Magazine Cover: Yesterday, Today and Tomorrow. The galleries at Texas A&M University-Commerce are hosting the opening reception tonight for the group show For Real: A Contemporary Realism Exhibition. The show features 12 artists and their own unique perspective of Contemporary Realism. The Lily & Joan Theatre Company takes on Shakespeare’s “A Midsummer Night’s Dream.” They’re performing with an all-female cast at House of Dirt. It’s on stage through March 30.